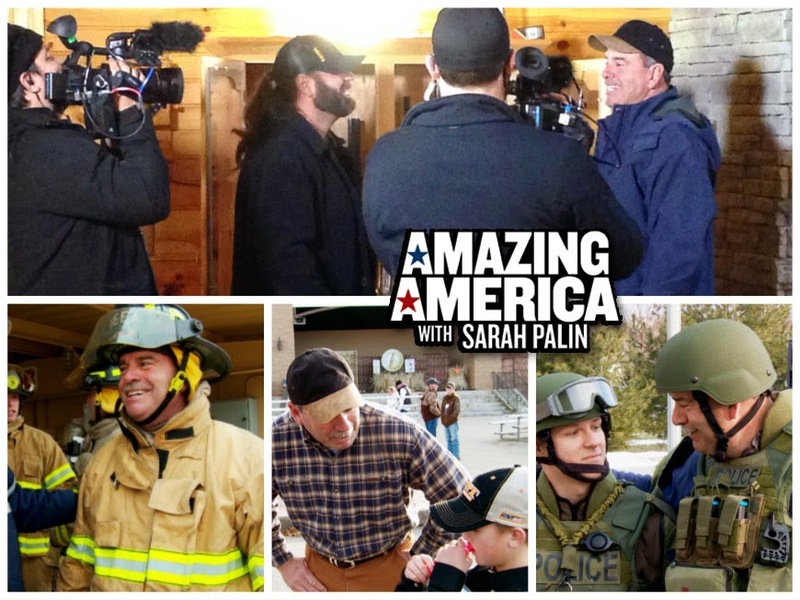 "Amazing America with Sarah Palin" wrapped up it's debut season on the Sportsman Channel. In a Broadcasting and Cable interview, Marc Fein, executive VP of programming and production for the Sportsman Channel, labeled the series a success, saying it "generated big increases in viewership in its timeslot from a year ago" and "generated buzz for the network." The show featured our very own every-man, blue collar comedian Jerry Carroll. The following is a collection of links, reviews, and YouTube clips from the show. Every major news outlet covered the shows' announcement in December 2013, including ABC, Fox News, and the Hollywood Reporter - just to name a few. 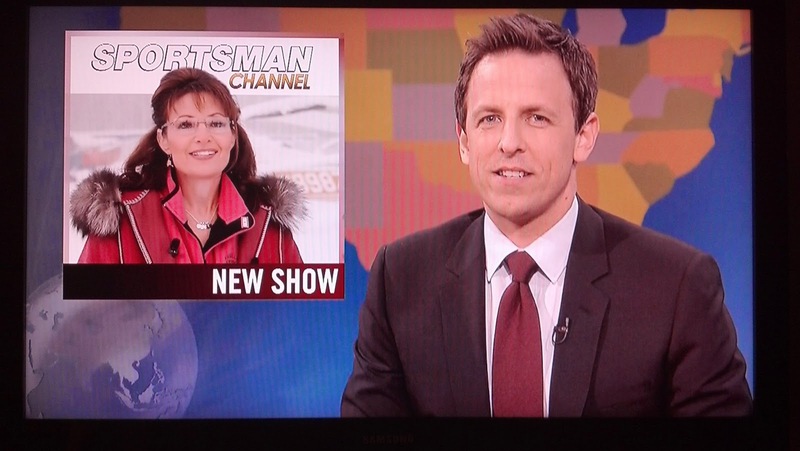 Saturday Night Live then-anchor Seth Meyers even gave the show a plug of sorts on Weekend Update. As production began, video footage of Jerry starting popping up featuring him shooting guns with country singer Craig Morgan and riding horses with pro wrestler Cowboy James Storm. As the debuted approached, publicity picked up for Jerry with a press release and Q and A from the Sportsman Channel and an excellent article in the News and Observer, aptly titled "Farmer-funnyman from Wake County scores show with Palin". In a surprising move, the Network choose to launch the debut episode not centered around Palin, but instead kicked it off with a segment featuring Jerry. The reviews were positive. The Alaska Dispatch declared the show "Amazingly American, surprisingly enjoyable". Even critics pre-determined to hate the show had to admit "there's nothing much to dislike about this show". Jerry soon found himself promoting the show heavily, including interviews with Breitbart and a long-awaited debut on the nationally-syndicated radio program, The John Boy and Billy Big Show. After week 2's episode with Craig Morgan, The Alaska Dispatch amped up the love for Jerry, declaring "I dare you to watch this show and not fall just a little bit in love with him." The raves continued over Jerry's firefighter training, SWAT training, and visit to the World Duck Call Championship, culminating in the paper's "Conversation with Jerry Carroll". The praise continued throughout the series, up to the season finale. A decision on a second season has not been made. Although in the Broadcasting and Cable interview, Sportsman VP Fein declared "The awareness factor has been great and it’s been really good for us."